zie ook http://roadtobhutanmusic.wordpress.com voor meer avonturen van zangeres Linde Nijland en multi-instrumentalist Bert Ridderbos op hun avontuurlijke weg naar Bhutan. Our departure date for the journey over land to Bhutan is getting close now! We will leave the 25th of September. The journey will start at the Dutch Media Academie in Hilversum, a place very familiar to our filmer Hans Meerman. 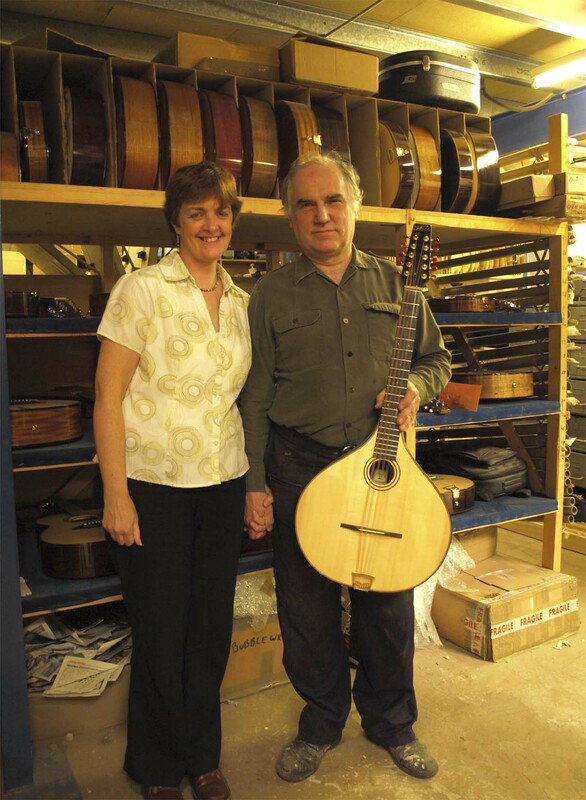 The first few days we’ll ‘rapidly’ cross Europe, travelling through Hungary, Serbia, Bulgaria..then to arrive in Istanbul, our first main stop..
Bert with the Fylde cittern at Henk Helmantel’s house and atelier. Henk is a famous Dutch still life painter, who will paint the cittern that will finally be donated to the Kilu Music school in Bhutan. When Bert and I were in the UK last week, for appearances at the main stages of two beautiful festivals (Stainsby festival & Brampton Live), we also visited Roger Bucknall of Fylde guitars in his workshop in Penrith in the north of England. Roger has made the very fine cittern that we will bring along on our journey to Bhutan, the instrument that will be played upon in all the diverse countries we cross, finally to be donated to the Kilu Music School in Bhutan. This last winter, as I played in a small church in Groningen with my program of Winterliederen / winter songs, a man came up to us with a story that almost seemed too good to be true. He asked us if we wanted to come along on a collective journey of two months over land to Bhutan to visit the festivities there of the crowning of the King, making music as we travelled in Turkey, Iran, Pakistan and India, in a spirit of friendship. All would be filmed.. It took many months before all was confirmed, but it immediately felt good. Since then we’ve met the other group members and things are falling into place. Though we will leave end of September 2008, it seems like we’re already on our way. The project has brought us to surprising, new places within our own country and we’ve met people that we wouldn’t have otherwise. 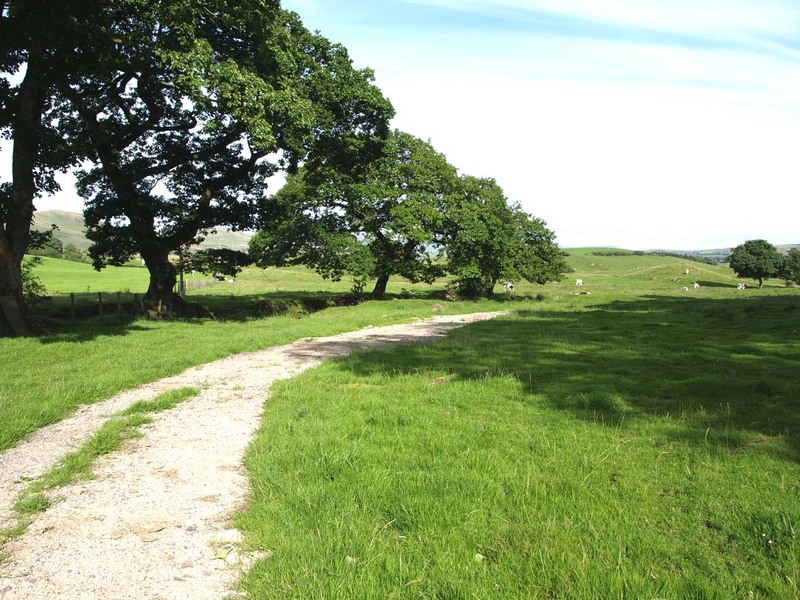 Last week we met a man, for instance, who will very kindly borrow his Landrover Discovery to us. This will become the ‘music car’ of the total of 8 cars that are going to undertake the journey. Rogier, as the man is called, lives in a beautiful house in the middle of The Netherlands. He’s a business man. Sitting outside in his garden, we were treated to colourful stories about his earlier travels with the car, as well as to bread, cheese and drinks. Some sort of a symbol during the journey has become the cittern. This beautiful 10 stringed instrument that Bert often uses on our recordings and during concerts can also be found on Renaissance paintings. 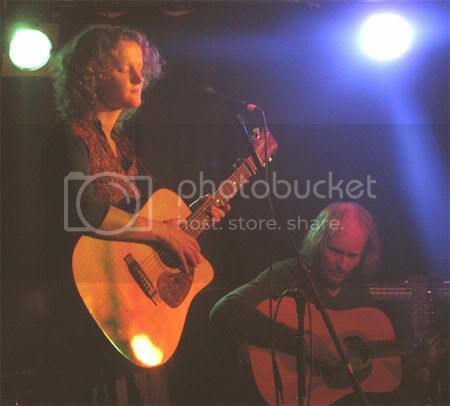 ‘Road to Bhutan’ will acquire a cittern especially for the journey that will be used by Bert in concerts while we’re travelling. Finally after all it’s adventures the instrument will be donated to the Kilu Music School in Bhutan. 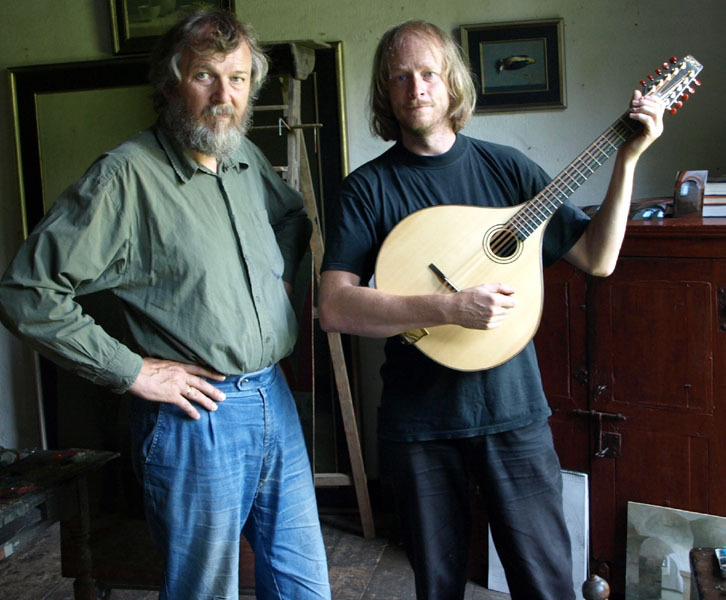 In a few weeks when Bert and I are in the UK for concerts at two festivals, we will bring a special cittern back to The Netherlands with us. There it will be painted by Henk Helmantel, the famous Dutch painter, who lives in a small village called Westeremden in Groningen not far from where we live. 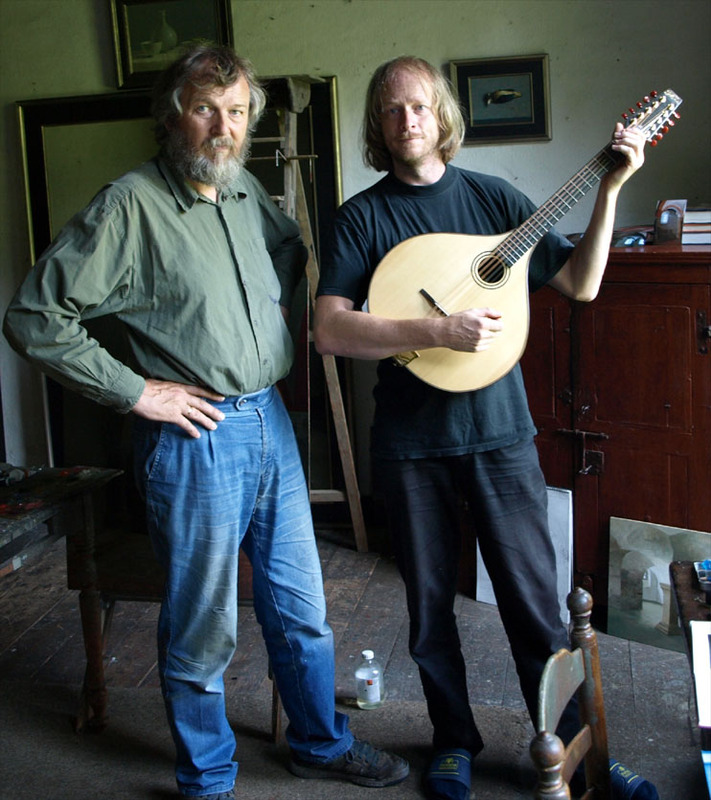 So..the cittern, that will travel over land and sea via England to The Netherlands, to Bhutan, will be studied and painted by Henk. Then it will sound in all these other countries as all will be filmed. Finally it will get a new home in a Himalaya Kingdom. How beautiful!! No user commented in " Berichten van het muziekweblog (1) "